alumni, teachers and staff of Will C. Crawford High School. 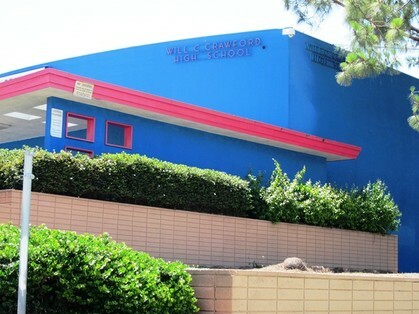 You have landed on the OFFICIAL web site of the WILL C. CRAWFORD HIGH SCHOOL ALUMNI ASSOCIATION & FOUNDATION located in San Diego, CA. Crawford High School continues to build upon its great heritage with the support of parents, businesses, teachers and alumni. This site is where you can reconnect with over 30,000 classmates, teachers and staff--those who graduated from Crawford, and those who may have moved but still shared classes, sports, clubs and memories with us, and your teachers and staff. Elementary school and junior high also. All are welcome to reunite here. So what is it that draws us together? It’s the memories of being together at the height of raging hormones, supreme daring, and ultimate idiocies when all things were possible and friendships were forever. It’s the experience of unforgettable times, for better or worse, that ended our teenage years and launched us into adulthood. We want you to feel welcome here, and we hope you'll share a bit of yourself with us, in this exclusive and private community. If you have already registered, use the gray login box, located on the top right. If you do not remember your password, click on "Forgot Password", a link to reset your password will be emailed to the email address you provided at the time of your registration. If you no longer have access to that email box, please Contact Us and ask that your password be reset. To gain access to all the features of this website, you need to register and create your ID, password, and contact information. It's easy, free and secure. 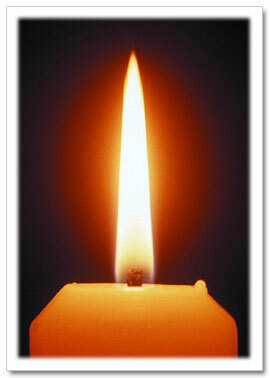 Classmates: From the home page, click on JOIN HERE. Click on Your Year of graduation, find Your Name and click on it. Follow the on-screen instructions to create your ID, password, and contact information. If your name is not listed, send us an email with the year you graduated and your FULL NAME as it was when in school. Send your information by clicking "Contact Us" on the left navigation menu. Teachers & Staff: Click "Teachers & Staff", find Your Name and click on it. Follow the on-screen instructions. If your name is not listed, send an email with your name and let us know when you taught at Crawford High School and we will add you. Send your information by clicking "Contact Us" on the left navigation menu. Guest Members: To request a Guest Membership, click "Contact Us" on the left navigation menu and give us your FULL name and reason for your request to be added as a Guest Member. We encourge you to sign-up and fill in as much information as you are comfortable with, but know you can sign-up with as little as your name and class year. Just sign-up and enjoy the memories. As time goes on, please remember to keep your profile up-to-date with current contact information, especially your email address. PRIVACY: All contact information (address, phone number, e-mail address) entered into this website will be kept confidential. It will not be shared or distributed. Your contact information is private: your address, phone number, and e-mail address cannot be seen by other classmates or anyone but you and the web site administrators unless you duplicate any of that information you wish to share in the Viewable Contact Infomation question/answer box in your profile - which can only be seen by logged in website members. When someone clicks on your name, the only contact information they will see is your city and state, plus whatever information about yourself you choose to share in your Profile's question/answer boxes. IMPORTANT: Be sure to "Whitelist" noreply@classcreator.net In other words, add this email address to your provider's safe sender list. This ensures you will receive emails from us and not go to your spam folder. If you do not know how to do this, check with your email provider or you can Google "How to whitelist my email". WHAT IS WHITELISTING? : Whitelisting simply means you are telling your email program to accept emails coming from our Alumni Association website (Class Creator), and your classmates. The technique for whitelisting varies by email program, generally you will see the terms whitelist, Safe List, Safe Senders List or Approved Senders List. DATA: Information provided on this website is obtained on a "best efforts" basis and no one shall be held liable for any errors or omissions. To correct any data other than your own profile data, which you can update yourself, please go to the ‘Contact Us’ button and send your comments to the website administrator. SECURITY: No one who has access to this website shall use any of the content for personal or commercial purposes. This website was created at www.classcreator.com website and is maintained by Jana Glasgow Ditmars, ('81) and Kelly Childers ('81). Still have that special occasion dress hanging in your closet...unworn since that special night?! Time to make some room in that closet and do some good while you are at it. The Crawford Community Connection (CCC) is hosting their annual Prom Drive and are looking to collect dresses, suits, shoes, accessories, and any other prom related items to share with our Crawford seniors. When: Donations are being accepted now until April 26, 2019, at Crawford Community Connection, located at Crawford High School, 4191 Colts Way, San Diego, CA 92115. Prom is being held in May. Why: Currently, at Crawford High School, 97% of students live below the poverty line. The extra costs associated with attending the prom are more than most students can afford. Your donations will allow students to create memories of a lifetime without financial burden. Donations can be dropped off or picked up by scheduling an appointment. 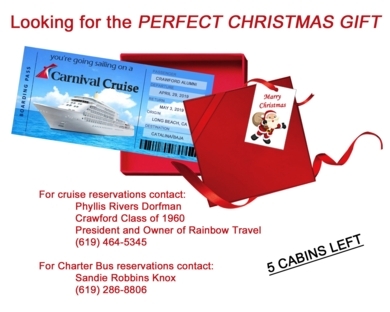 Call (619) 362-3762. Email: promdrive@saysandiego.org. For questions, please contact Angie Esparza, Case Manager, Student Leadership Development or Lucia Acevedo, Program Coordinator at Crawford Community Connection (CCC). Her number is (619) 362-3752. Want to see what Crawford will look like in a few years, click HERE (video courtesy of Barbara Alvarez '70). More information on Crawford's modernization project, HERE. 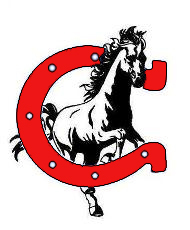 manage the Alumni Association website (www.crawfordcolts.org) including adding photos, stories, special features, etc. help with special events like fundraisers, homecoming, alumni events, etc. If any of these tasks are things you'd be interested in helping with, please send us an email at crawford.database@yahoo.com. We look forward to hearing from you!! Thank you!! Save the date! Homecoming will be Friday, November 1st, 2019 at 6:00pm under Crawford's new stadium lights! We need all you Colts to come out and support your Alma Mater! GO COLTS!! 1) Do you plan to attend Homecoming and represent your class and our Alma Mater? Maybe, not sure yet. GO COLTS! No, but I love Crawford! GO COLTS! Aaron Boone, son of Sue Roel '66 and Bob Boone '65, is the new manager of the New York Yankees. Click HERE to read an article on the MLB website. Crawford's Football Stadium Grand Opening - Click HERE. It's here! 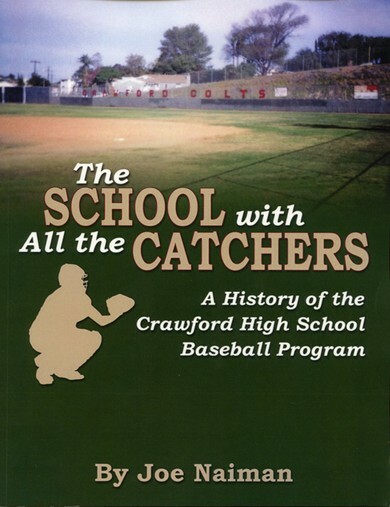 Joe Naiman, class of 1982, has published his book on the history of the Crawford High School Baseball Program. Covering the years of 1958 - 2007. Currently not available in stores, however, you can buy your copy direct from Joe for $19.95. Contact Joe at 760.458.9827.